Renovations By Rodgers is a full service renovation company servicing Simcoe County and beyond with projects ranging from bathroom upgrades, to complete additions. Committed to offering exceptional customer service, superior workmanship, and workplace safety, Renovations By Rodgers incorporates its philosophy of personal accountability, with award winning construction expertise. Renovations By Rodgers strong team approach to quality construction, exceptional knowledge of the building code and customer service keeps them in the forefront of the renovation industry. 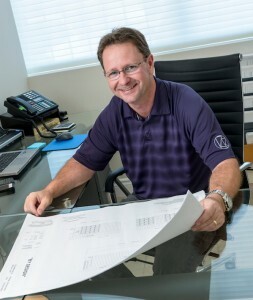 Project managers are assigned to individual projects and are experienced in and knowledgeable of Renovations By Rodgers construction techniques. Each team member is held responsible for maintaining the company’s high standard of excellence. Workplace safety is always a top priority for the 20+ full-time team members. With its 10,000 square foot facility centrally located in Barrie, Ontario, Renovations By Rodgers is able to provide quick response to assist customers. Additionally, their large, modern and clean cabinet shop provides ample space to build kitchens, bathrooms, mudrooms and bar cabinets. 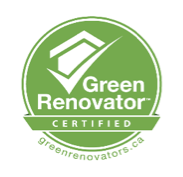 Renovations By Rodgers is a long time member in good standing with Tarion, WSIB, IICRC, Canadian Home Builders’ Association of Simcoe County, OHBA, Renomark, and a Certified Green Renovator. Renovations By Rodgers is fully insured for commercial liability and mould remediation. Call today and let our team design and build your dream renovation. Everyone has a budget, even if it is a lavish one. Discuss budget early in the planning process so that effective estimates and building plans can be determined. Be realistic. There is definite relationship between quality of materials and price which cannot be ignored. Renovate for efficiency, not necessarily size. Budget for the hidden and unforeseen. Plan and make decisions early. A good contractor is the best guarantee of a accurate pre-construction estimate of time, expense and a job with minimum delays.